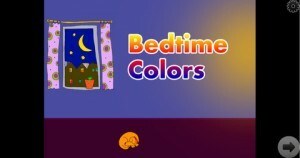 Bedtime Colors is an iPhone app and iPad app developed by Mijja. 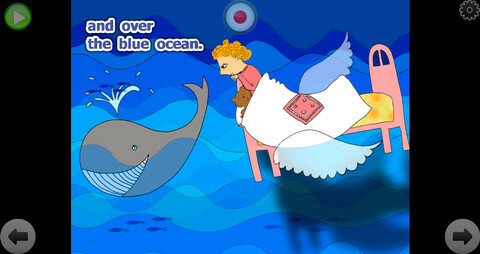 Featuring whimsical hand-drawn artwork and a cute story, Bedtime Colors is a fun book to read to young children at bedtime. 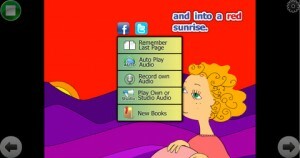 Bedtime Colors is a recordable, interactive children’s story for beginning readers, suitable for ages 3-12.? While this story is great for sharing with your kids on the go using your iPhone, it also looks great on the iPad’s larger screen…and is easier for kids to read there, too. A wonderfully imaginative tale that helps children learn about colors and the power of imagination, Bedtime Colors follows the story of a young girl named Nadia. The young girl travels across the world on her flying bed, experiencing the wonders of the natural and manmade worlds. Children can read along with the default studio recording, or parents can record their own audio tracks. This makes the app the perfect storytelling tool for parents who have to travel for business, but who want to give their kids the comfort of hearing the voice of a mother or father at bedtime. The app also remembers the last page you were on, so you can return to where you left off with ease. 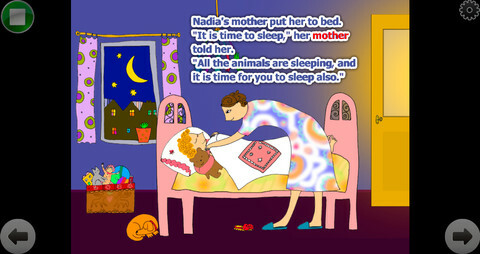 In addition, Bedtime Colors is integrated with social networks so you can share your experiences with others. The latest version of the app, Version 1.0.1, offers “cosmetic changes to make the book a little more child-friendly.” I’m not sure what the illustrations looked like before this iteration of the app, but I think the look of the illustrations now is quite whimsical and pleasing to the eye. Overall, if you need a new bedtime story, I’d suggest giving Bedtime Colors a spin. Bedtime Colorsis compatible with iPhone 3GS, iPhone 4, iPhone 4S, iPhone 5, iPod touch (3rd generation), iPod touch (4th generation), iPod touch (5th generation) and iPad. Requires iOS 4.3 or later. This app is optimized for iPhone 5.